What happens between these two images? 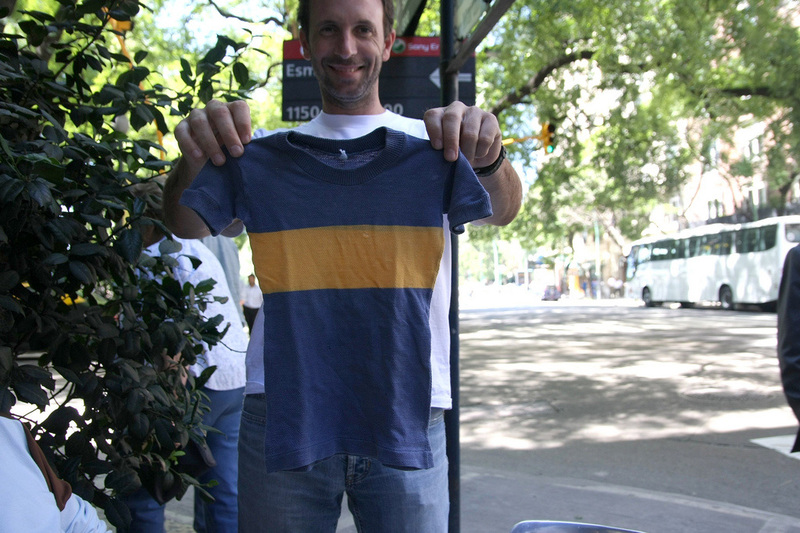 Buenos Aires: Jorge has collected football (soccer) T-shirts all his life. He has quite a collection. Jorge with his forst Boca T shirt.